DOEprojekts (Deborah Adams Doering and Glenn N. Doering) is pleased and privileged to create an edition of prints at the renowned Artist Proof Studio in Johannesburg. 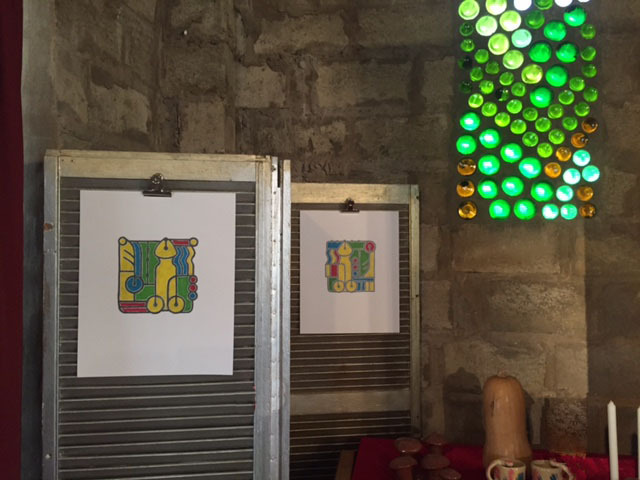 We were assisted by APS master printmakers Sara-Aimee Verity and silkscreen printer Alex Vosloo. 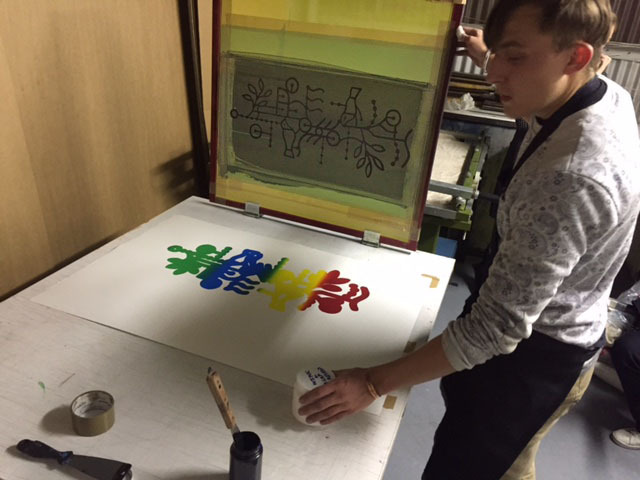 We created a hybrid print consisting of our Coreforms (zero, one, hyphen, tilde, period) and also forms that are used by the KAP artists who we will visit and collaborate with in the next few weeks in Hamburg, SA. 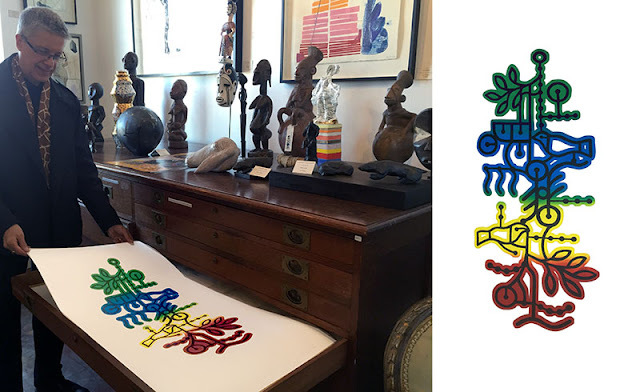 We were also very pleased for our "DOE+KAP • Birds+Leaves" silk-screen print to be included in the Kalk Bay Modern gallery in Cape Town. 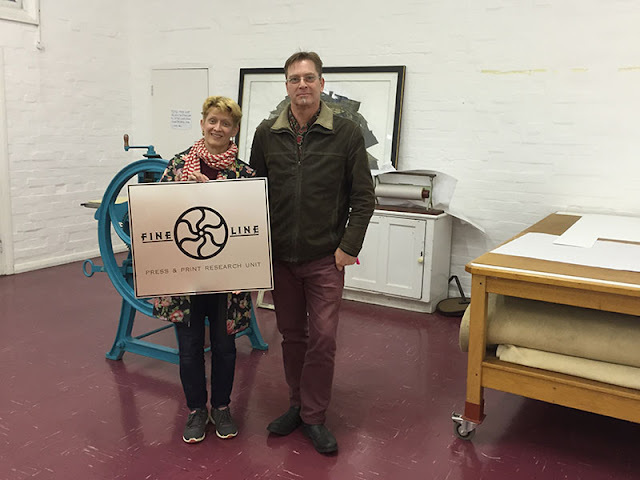 Other fine art print-related experiences included meeting with master printmaker and Rhodes University professor, Dominic Thorburn. Prof. Thorburn introduced us to printmaking facilities at the university and showed us several editions related to recent exhibitions. 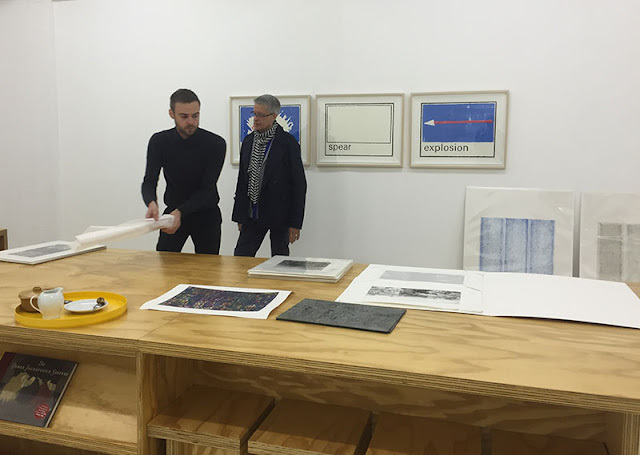 We also met with artist/printmaker Morné Visagie at Warren Editions -- Warren Editions has a great number of international artists who publish editions in their Cape Town print facilities, many with a highly conceptual and performative aspect to their work. Our work was also displayed as part of the Grahamstown Fringe Festival at Bon Tempo, a gallery that has a unique priapic emphasis to many of their exhibitions. We have also continued to show our "Gestures of Hybridity" sound drawings in various venues, as we journey from east to west (and then back east to Hamburg) in South Africa during the month of July. Please keep in touch with us through DOEprojekts@gmail.com or through our blog (RSS feed) and websites! Once again, we thank 3Arts.org and all those who have supported our work and travel schedule this summer. We look forward to hearing from you!